Reporting is an important factor that tells you what’s going on in your business. 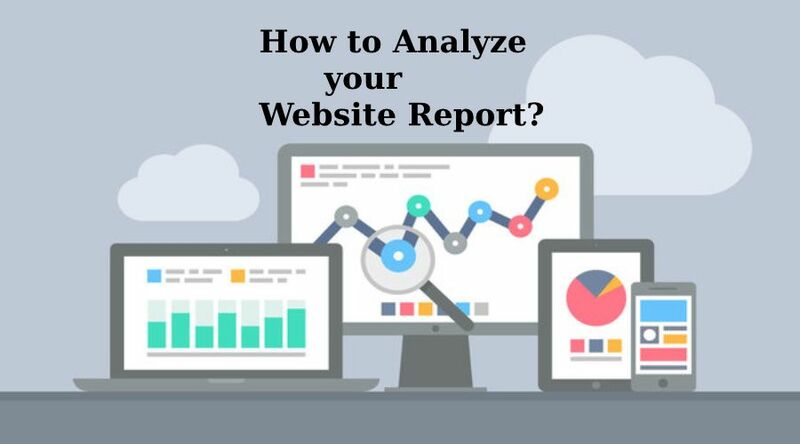 By collecting the data and read them about what’s going in business you can analyze your website reporting. In each and every business website reporting is very necessary because with the help of it we can analyze the graph of the business. The web designing company helps to find out or read your website report monthly. The businessmen take a deep look of the Google Analytics and they assess the data in front of us. In front of the client, we need to report about the small and the big pictures of the website. There are many issues when we find website reporting. The explanations and the breakdowns are varied clients to the client. Hence for the reason, we thought to get a quick reference guide on how to read your website report. Therefore we know that all the data which is collected and found under the audience tab in the Google Analytics. This is the trick by which we can come to know how much traffic we get in this month. Hence this serves as a benchmark for the overall website use. With the help of these numbers, you can check that how many number of users reached your website. It also shows how many times your website was accessed. As well as it shows how many pages, on the average, the users viewed. This is the most important information but it should not be the end all be all. When you will complete the process of reviewing the general audience numbers, you will get an idea that how many people were on your website. And it is important to understand who they are. There are several ways by which Google collects the data from the users. Hence this is done through the tracking our history within our Google accounts that we are signed into. For the reason Google is collecting the information on the types of websites you frequent, your age, gender, and much more information. With the help of the audience demographics, you can get to know that where the people are accessing your website from and this information can be narrowed down to the very city. The website reporting is much valuable information because it creates a picture that who is visiting your website. This will maintain a target audience statement. Analyze that from where your traffic is coming from? Organic Search: In the organic search a user has searched for a keyword and your website showed up in the unpaid portion of the search engine result page(SERP). Paid Search: Pay per click management can help to bring traffic to your website. In the paid search a user clicks on a Google or Bing Ad back to your website. Direct Search: In the direct search a user has typed the URL indirectly to their browser. Referral Search: Referral Search where a user clicked on a link to your website from another website. Social: Social search is much popular nowadays that a user clicked on a link to your website from a social account. Such as Facebook, Twitter, LinkedIn and etc. There are several companies who do the social media optimization of their company that the audience finds them easily on social media. Email: In an email search, a user received an email from you and clicked on a link back to your website. What are the key points that are not so important in your website? Below mention are some of the key points that takes some time. We know that all website data is important and we all find it more valuable but the caution is that the clients not getting hung up on certain data points. Bounce Rate- The average bounce rate can hover around anywhere from 50%-60%. But if you are sitting at the 20-30% then it is at the good. But the bounce rate is lower then it is the cause of concern. Changes in the Data- When we notice traffic has dipped by 5-10%, we usually take a note of it and then move on. The Keyword Ranking- This is the main point that the client should understand that the ongoing SEO takes time. For the reason, if you are just the beginner of your online journey then be patient because it takes time in the starting.